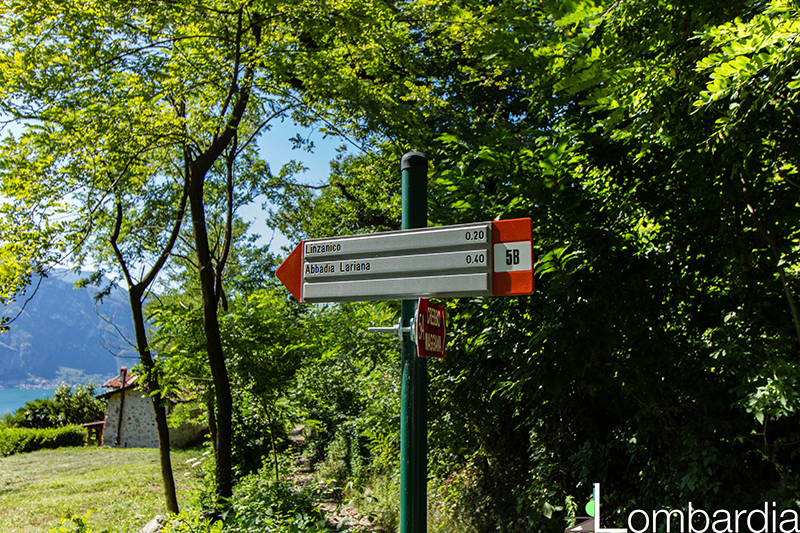 Abbadia Lariana on the Como Lake, famous for its beach of broken church, however, is also the point of departure of various hiking routes. The famous “Sentiero del viandante” starts right here. Today, however, we will not talk about the well-known Sentiero del Viandante, but the lesser known trail leading to the waterfall Cenghen. 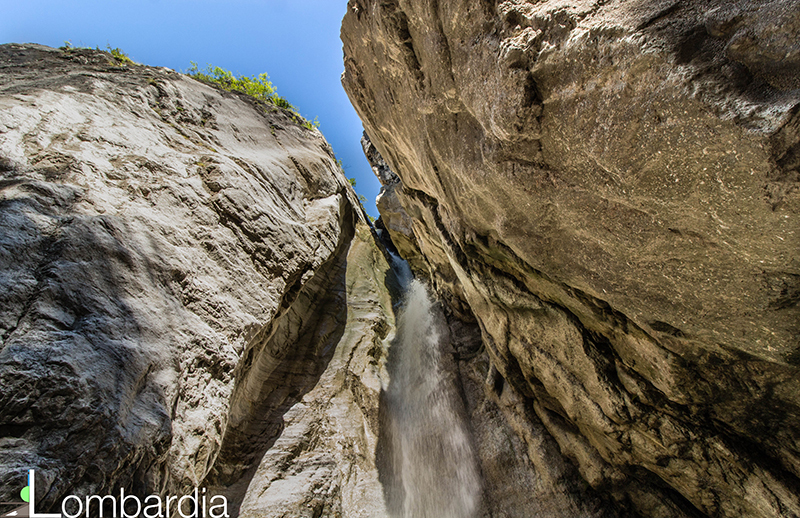 This route runs through the Monastero valley at the foot of the Grigna. The Chenghen Fall is 600 meters above sea level and is formed by the waters of the river Zerbo, passing through the Val Monastero, and jumps to 50 meters high, creating a beautiful shower fresh and natural, which shows the game rainbow light. A spiritual place, to enjoy the silence, sitting astride one of the large stones of the watercourse. A place of great charm, which will repay the effort that you will do to achieve it. The route is recommended for all, even the youngest, although we must not forget that being a woodland path, is sometimes slippery and narrow. The path is capable of easy difficulty. To reach the waterfall you can start from Abbadia Lariana (considering a half hour / twenty minutes more for the climb), but the actual trail starts however from a rural hamlet of Abbadia, place of farms and quaint B & B with a panorama worthy of note on the lake below: Linzanico. 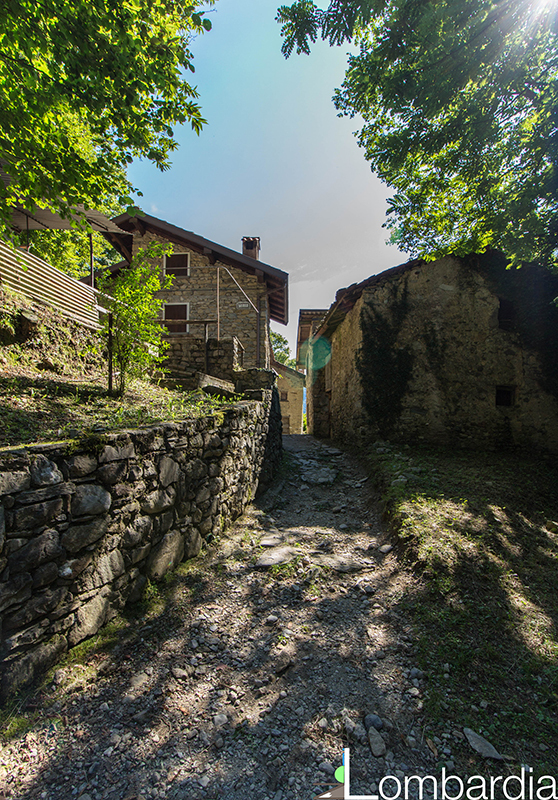 The agro pastoral track starts right at the right of the main square of the village, Pope John XXIII: a small square with an old wash house typical of mountain resorts and protected From the look of relief Dedicated to Our Lady of the Angels. In the area adjacent to the square you can park your car (follow the signs to the parking lot), for those who reach Abbadia by train, will have to reach the area on foot, about 2 km uphill. The trail looks right now like a fresh path, shaded by trees and with a breathtaking view of the lake. In about an hour you can reach the waterfall. The only flaw of this path is the poor signage, bringing the less experienced walker to lose orientation. In these cases it would be better to use GPS or ask passers-by or local farmers. These trails are quite popular on weekends. Noi durante la descrizione del sentiero tenteremo il più possibile di darvi delle indicazioni di orientamento. Mainly in the first part of the path you have to keep right, following the path until you reach a house with at last indication (a red arrow) that indicates you to continue on the right path, passing through the characteristic block of CALECH fraction , which offers panoramic ranging from the lake, in the green and flowery meadows, the majesty of grigna. We suggest you bring a camera to capture the beautiful scenery. Continuing along the path, go up the Val Monastero, between the green and the cool of the forest. Now we should always keep to the left, and not to be fooled by the sound of the river that comes from the valley below. Following the signs, finally, you can reach the waterfall, along the river Zerbo. At the end of the path you will be overwhelmed by the sound of the waterfall, from his majesty and power … and here you can stay on the river rocks to make a small picnic, a snack or a game of cards! A bathroom or a simple refresh of the river water is a must, especially in torrid August afternoons. We suggest you bring your suit because, for the brave, there will be a chance to make a fresh and invigorating shower under the waterfall, which will be a fitting end to the trail.